MORE THAN 45 YEARS “ABOVE THE CROWD”. RE/Max, an established industry leader – celebrates its 45th anniversary in 2018. When you choose a RE/Max Properties Northwest Sales Associate to sell your home or help you purchase a home, you’ll experience a whole new level of service. Our RE/Max Associates are the Hometown Experts who work in the same communities in which they live. Knowledge of the area and experience in the industry translate into Premier Customer Satisfaction for you. RE/Max Associates, on average, lead the industry in production and professional designations bringing their experience and education to you. Statistics prove the average RE/Max agent out-produces competing agents three to one. Make sure you choose the person best qualified to handle your real estate needs: a RE/Max Properties Northwest Sales Associate. Mary Jo and John Downes are a husband & wife team with 42 years of combined real estate experience. We have received numerous awards honoring our high achievement levels in the RE/MAX System, some that are only awarded to the most elite of agents. More importantly, over the years we have assisted over 18,000 families find the home of their dreams as well as help Sellers secure a sale of their home and/or investment property. Short Sales and Foreclosures are not very common and not every Realtor with have the “inside track” on how to best deal with your situation. Everyone’s situation is unique. We love referrals and can assist anyone in the Chicago and any of the surrounding suburbs. Keith Reboletti is a Realtor, licensed since 1978, who specializes in residential and new construction sales in Park Ridge and surrounding areas. Keith has been awarded Platinum Club membership for an excellent sales record. Luca Lollino grew up in Park Ridge and is currently a resident of Chicago’s Northwest side. Before becoming a Realtor, he was a structural engineer for several years which makes him uniquely familiar with the features of a well built home. This knowledge, along with his years as a real estate investor make him a great asset to first time and seasoned home buyers and sellers alike. Luca develops long term relationships with his clients, providing a real estate experience that is fun and personal. He works diligently in educating his clients to demystify the real estate process so that they are able to make the best decision for their family. Luca is technology driven and believes in combining cutting edge online marketing techniques with traditional marketing strategies for the best results. Luca has brokered deals from Park Ridge all the way to Chicago’s hippest neighborhoods like Lincoln Park and Wicker Park. He is more than happy to help you in this exciting time in your life. Alan Dolecki – With background in art (BFA – The School of the Art Institute of Chicago) Alan Dolecki is a Realtor who applies that same skill and mastery to every transaction. His real estate career began with a specialization in REO (real estate/bank owned, foreclosure, short sale, auctions). Alan takes great pride in his work and is there every step of the way from showings to closings. Co-working with his father, Tad Dolecki, they have 20+ years combined experience serving Chicago and the suburbs from Re/Max Properties Northwest. Well rounded, Alan has experience and great results serving buyers and sellers in both residential and commercial transactions. Dotti Ellis is a Realtor, licensed Broker since 1966, specializing in residential sales, property management, multifamily and other investments. Dotti sells in Park Ridge, Chicago, DesPlaines, Niles and many adjoining suburbs. She holds the designations of CRS (Certified Residential Specialist), CRB (Certified Real Estate Brokerage Manager), PMN (Professional Management Network) and GRI (Graduate Realtor Institute). Dotti has been honored with the Hall of Fame and 100% Club sales awards. John Schmalbach is a Realtor covering the Chicagoland and suburban areas since he obtained his Brokers license in 1981. John’s specialty is residential and commercial real estate sales, having received the great honor of 100% Club membership for his success. 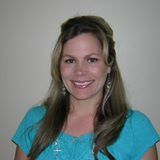 Heather E. Welter is a Realtor, licensed in 2003, and a Licensed personal assistant to Ken Welter. Heather specializes in residential real estate sales in Park Ridge, Chicago NW, Niles,Des Plaines and Arlington Heights. Bryan Mercado is a Realtor, licensed in 2004 and is a member of “Team Guzzetta”. Bryan specializes in residential real estate sales in Park Ridge,Chicago NW,Niles and Des Plaines. Terri Tillinghast has an AS Degree in Real Estate. Her first job was in corporate relocation,with clients like Chrysler, BP, and AT&T. Her current studies have been in internet marketing as an ePro, obtaining the Certified Distressed Property Expert Designation and the BPOR Realtor Designation. She is a Category 5 agent on Equator, qualified for the HAFA process and short sales. In addition to English, Terry knows Sign Language for the hearing impaired. She prides herself in knowing the market and getting the best possible price for her clients. Danny McGovern has spent the last 55 years living in Park Ridge, it is where he and his wife Jocelyn currently reside with their two children. For the last 25 years he has been hard at work in the real estate business, priding himself on service, quality, and knowledge of our real estate market. He has been recognized as a leader in the industry being inducted into both the RE/MAX and Century 21 Hall of Fames. Danny and the “Danny McGovern Group” are more than happy to help you with any of your real estate needs. Matt Steiger – A lifelong resident of Park Ridge, Matt has first-hand knowledge of the area and surrounding communities. Upon graduating from Notre Dame high school in Niles, Matt fulfilled his dream of playing college baseball at Northern Illinois University where he graduated with a degree in Economics. Previous to Coldwell Banker Matt has had experience working in residential and commercial real estate since 2006. He has held his license as a broker with Century 21 Sussex & Reilly in their West Loop office while he lived in the Lakeview/Wrigleyville area, as well as ReMax Properties Northwest when he moved back to Park Ridge. Matt has also been involved in many aspects of commercial brokerage: leasing (tenant & landlord representation), as well as sales pertaining to multi family housing. Matt is happily married to his wife Megan, and is the proud father of two boys, Grady & Chase. Madeline Heller has been around real estate her whole life, she is an experienced, well-rounded REALTOR ready to work hard for you. She grew up in Park Ridge, attended Maine South High School and received her formal education from Purdue University. Madeline graduated with a BA in Advertising and Communication. This gives her a well-grounded understanding of how to best market your home. Madeline knows how to reach people and is up to speed on today’s technological resources. She not only serves Park Ridge, but the entire Chicagoland area and its surrounding suburbs. Having an extremely outgoing and determined personality lends itself well to Madeline’s work ethic. She always puts her clients first, no matter the time or day. Madeline is a member of the Re/Max 100% Club for outstanding sales. When Madeline is not assisting her clients she volunteers at the Wright-Way Rescue North Shore Humane Center. Ken Guzzetta is a Realtor, licensed in 1973, who specializes in residential and commercial sales in Park Ridge and the surrounding area. Ken has been awarded the prestigious Hall of Fame membership along with the Chairman Club honor for excellent sales. Ken Welter is a second generation Realtor with his Broker’s license dating back to 1970. His specialty is commercial and residential sales having received the coveted designation of CCIM (Certified Commercial Investment Member). Ken is a “Hall of Fame” recipient in addition to a Platinum Club honoree. Rhonda Wachula is a Realtor specializing in residential sales in Chicago, Park Ridge, and surrounding areas since obtaining her license in 2001. She has lived in Chicago’s Norwood Park neighborhood with her husband and two sons for the past 20 years. Prior to becoming a Realtor, Rhonda’s background was in the interior design industry, giving her a great understanding of how best to showcase a room or an entire home. Rhonda loves helping clients realize their home ownership dreams and is involved every step of the way, forging client relationships that endure long after the transaction is complete. Whether you are a first time buyer, or want a home that is a little bigger, or need to downsize, Rhonda can help make the process as easy as possible with her years of experience and personal attention to detail. Rhonda has been honored with membership in the 100% Club for her sales success. Mike Lohens is a Realtor, licensed in 1992, currently working with lenders as an REO, or Real Estate Owned (taken back by a lender)agent. Mike is a Certified New Home Specialist and Relocation Expert. His personal orientation to the Chicago and Park Ridge Areas, their schools, homes, communities and lifestyles will save you time and effort for your relocating family. A lifelong Park Ridge resident, married, father of three and a Third Generation Real Estate Salesperson has the experience and expertise to properly evaluate, market and help you achieve a sucessful closing. Rob Lohens is a Realtor, licensed in 1996, currently working with lenders as an REO, or Real Estate Owned (taken back by a lender)agent. A lifelong Park Ridge resident and a Third Generation Real Estate Salesperson has the experience and expertise to properly evaluate, market and help you achieve a sucessful closing. Joe Guzzetta is a Realtor and member of “Team Guzzetta”. Joe is a lifelong Park Ridge resident specializing in residential real estate sales in Park Ridge,Chicago NW,Niles,Des Plaines and Mt. Prospect. Agnes Wojcieszak has been a licensed realtor with ReMax since 2015. She specializes in residential real estate sales in Park Ridge, Northwest Chicago, and surrounding areas. Long before she became an agent, Agnes worked in the real estate market by renovating and building new homes alongside her husband through their business. Her experience in home development proves invaluable in helping clients find the perfect home. Fluent in English and Polish, Agnes looks forward to helping you with all your buying and selling needs. Tim Guzzetta is a Realtor, licensed in 2011, and a lifelong Park Ridge resident specializing in residential real estate sales in Park Ridge, Chicago NW and the Northwest Suburbs.